It is a monthly gallery walk in the Art District on the first calendar Friday of each month, without deviation due to holidays or otherwise. Over 40 art galleries, artist studios and other creative organizations are open until about 9:30PM that night. Some stay open later, some close a bit sooner, but all are closed by about 10:30pm. 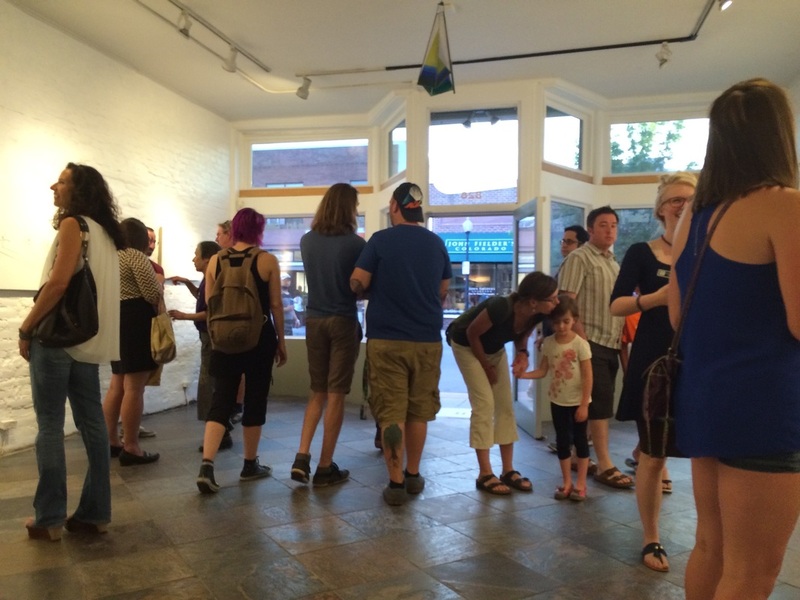 First Friday is hugely popular and can have up to 7,000 art lovers attending. It is wonderful anytime that many people come out to see art! Come early, 5:00-7:30pm, if you want more "private time" with the art. After about 8:00pm it can get crowded on the sidewalks and in the galleries, but is an upbeat people watchers' delight!